Jaded Blossom: I'm Banana's for you! Hi there!!! Its Kim from Ricketts Cricuts! I wanted to share a cute little treat container using the Valentines Treats stamp set! 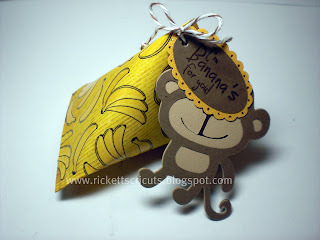 I made the treat container using banana cardstock from Hobby Lobby and added a sentiment tag and monkey hanging on! I tied it together using brown and white twine! Hope you enjoyed the project today! Be sure and come back tomorrow for more!! totally adorable Kim !!!!!! love love love!!!! I love this Kim!!! Soooo cute!!! 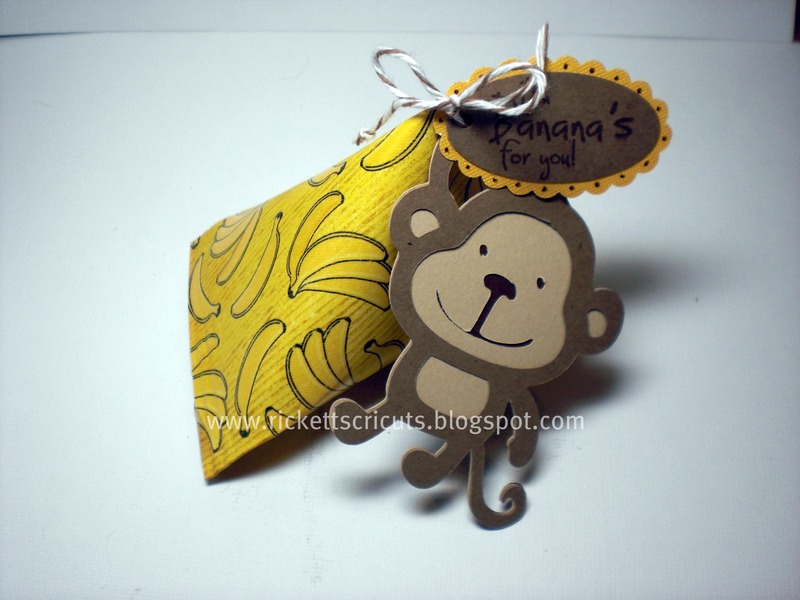 KIMMM This is so super dooper cute!!! Oh that is just adorable. The banana paper is perfect!